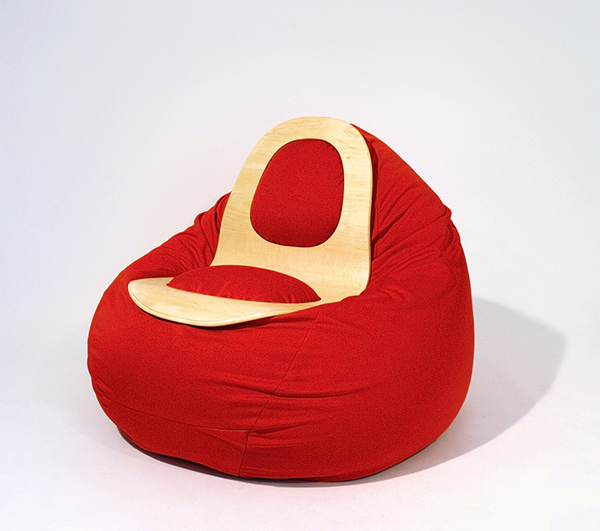 Ready Bean Chair is a bean bag chair that has a bent laminated wooden seat frame imposed on it to create a fixed structure. I was attracted to the idea of the amorphous blob that can be anything, take any form you need, in a very low tech way. 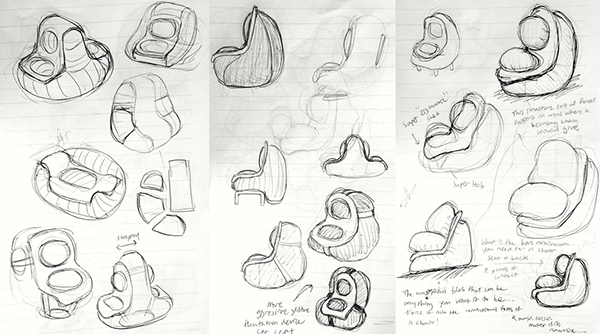 This led me to the idea of an 'instant chair' made by punching rigid frames into the blob, 'pre-forming' it into an upholstered seat and back. 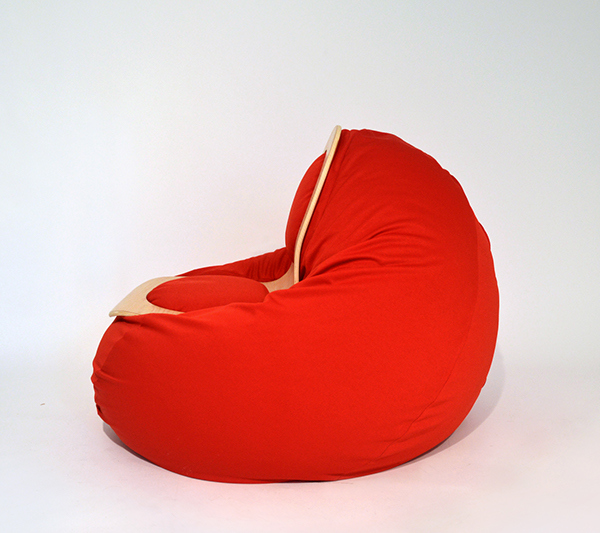 At the same time, the chair frame negates the function of the iconic beanbag chair by providing support in areas that conventional beanbag chairs do not. 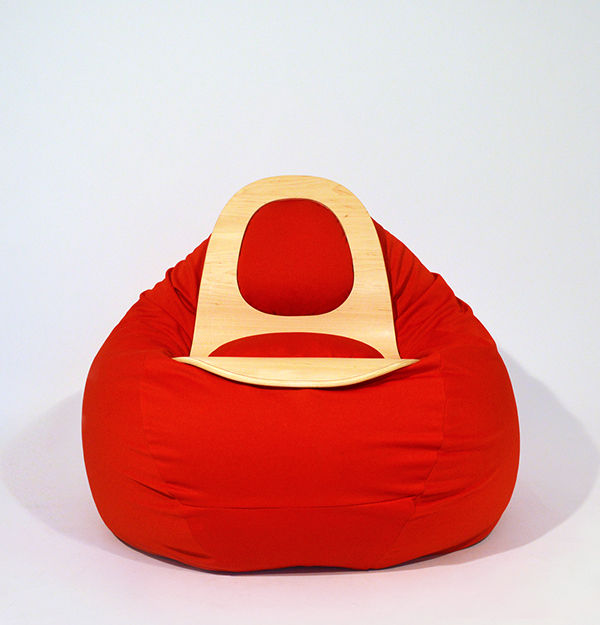 The bag conforms to the seat, not the body, and the functional ambiguity is eliminated.